From its origins, Cloud Computing has been largely relegated to Software, Platforms, and Infrastructure (SPI) as a Service. However, cloud networks and systems are rapidly evolving to support a variety of communications, applications, commerce, and content in an “as a service” model. For example, Cloud Computing is moving beyond the consumer and enterprise markets into support for manufacturing and industrial automation of other industry verticals. In addition, computing at the edge of networks via Multi-access Edge Computing (MEC) is anticipated to become a critically important aspect of carrier operations, supporting a variety of new and improved applications and services, many of which will be highly immersive apps such as Virtual Reality. The Industrial Internet of Things (IIoT) represents a substantial opportunity for both the centralized cloud “as a service” model for software, platforms, and infrastructure as well as distributed computing often referred to as Fog Computing wherein IIoT edge computing will avail industry of real-time processing and analytics. The combination of robotics, teleoperation, and cloud technologies is poised to transform enterprise operations, industrial processes, and consumer services across many industry verticals. Both purpose-built and general purpose robotics segments will benefit greatly from cloud operations. Mass consumerization will be on the horizon by 2022 as end-users become accustomed to autonomous and remote control robots for many different personal services tasks. This research evaluates the global cloud computing marketplace including centralized and distributed services, platforms, and infrastructure. 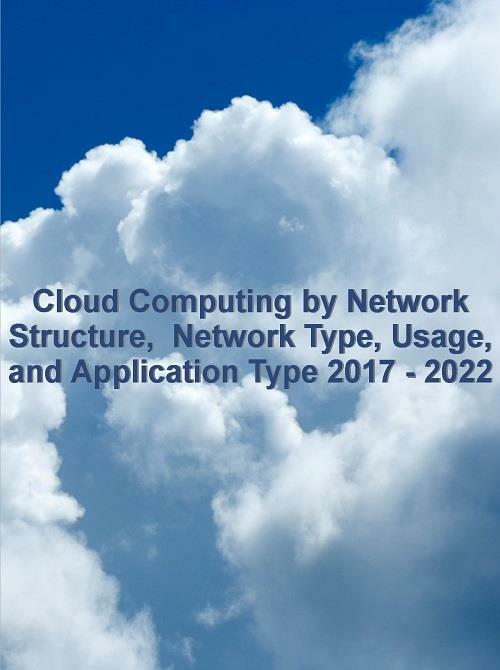 The report also analyzes the market for cloud computing “as a service” across major industry verticals as well as carrier cloud services and market opportunities for cloud support of IoT networks and associated apps and services. The report includes detailed forecasts for the aforementioned from 2017 - 2022. This also research analyzes MEC technology, architecture and building blocks, ecosystem, market drivers, applications, solutions, and deployment challenges. The report also analyzes MEC industry initiatives, leading companies, and solutions. The report includes a market assessment and forecast for MEC users and MEC revenue globally, regionally, and within the enterprise market for years 2017 to 2022. Forecasts include MEC infrastructure (equipment, platforms, software, APIs, and services). This research also evaluates the technologies, players, and solutions relied upon for Cloud Computing in IIoT. The report analyzes the impact of SaaS, PaaS, and IaaS upon IIoT as well as Cloud Computing software, platforms, and infrastructure in support of edge computing. The report also assesses market opportunities for Cloud Computing support of IIoT Devices and the Objects/Things that will be monitored, actuated, and controlled through IoT enabled processes. The report includes detailed forecasts for the global and regional outlook as well as by industry vertical, devices, and objects/things from 2017 to 2022. This research also includes analysis of the ecosystem, players, technologies and solutions for Cloud Robotics. The report evaluates the current state of technologies and assesses the future outlook of integrated teleoperation, robotics, cloud systems and solutions. It provides global and regional forecasts for Cloud Robotics apps, services, and components from 2017 to 2022. Forecasts include the market outlook for Cloud Services support of Cloud Robotics including Infrastructure as a Service (IaaS), Platform as a Service (PaaS), Software as a Service (SaaS), and Robotics as a Service (RaaS). Forecasting for Cloud Robotics by deployment model is also included covering Public Cloud, Private Cloud, Hybrid Cloud, and Community Cloud. 4.8 Rapyuta Robotics Co. Ltd.
4.11 Motion Controls Robotics Inc.
4.17 SoftBank Robotics Holding Corp.
4.24 Ozobot & Evollve Inc.
2.1 How Industrial IoT (IIoT) is Different from Consumer IoT?